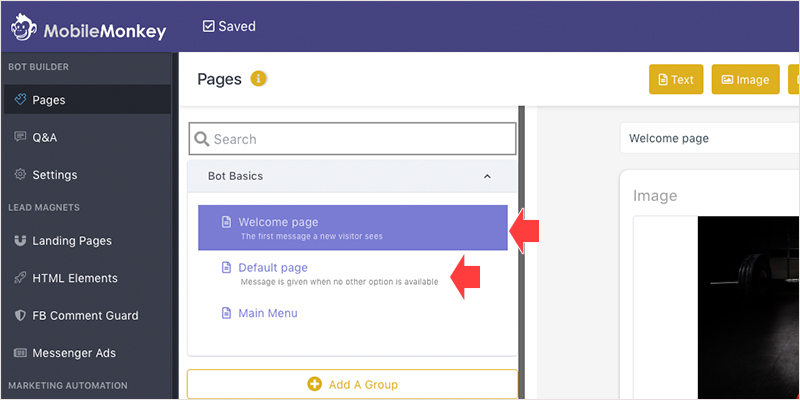 "Bot Basics" are the 3 primary Dialogues and Main Menu included on all Bots. Learn how to update them in this 3 min video. Welcome Dialogue: Think of the Welcome Dialogue as the "Home" Dialogue of the Bot. 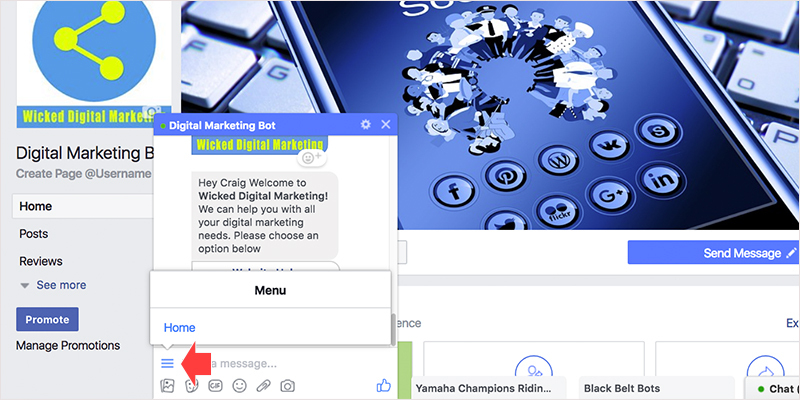 It should include a general Welcome message and direct visitors into the Bot session experience. Default Dialogue: this is a catch all Dialogue that appears when a visitor asks a question that the Bot doesn't understand yet. Make this Dialogue a simple polite answer and redirect the user back into the chat session. Main Menu: This is the a persistent menu that appears on the bottom of all Dialogues (in Mobile its a hamburger menu). It can contain up to 3 Links. Typical links could be Home (Welcome Dialogue), Website, FAQ's. In the Free version "Powered by MobileMonkey" is located in the main menu.